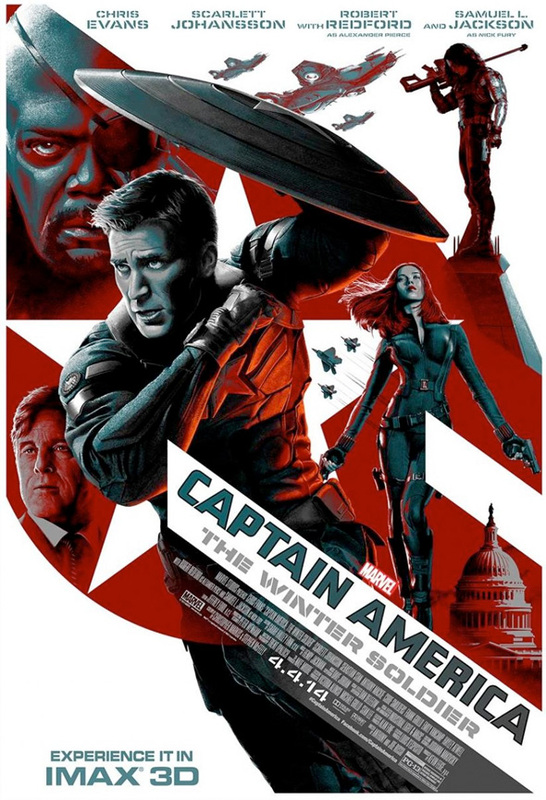 Following that cool banner from South by Southwest (which you can see split up into higher quality individual posters right here), Captain America: The Winter Soldier has gotten one more IMAX poster, taking most of the characters from that banner and combined them into a single stylish poster. We're not sure if they'll be giving this one out to people who check out the early IMAX screenings of the film, but it would look pretty cool on a wall. It almost feels like a propaganda poster, which seems appropriate since early buzz on the Marvel sequel says the film works as a 70s political thriller, just with a superhero. Look! with my respect to the american friends,but doesn't captain america is the most lame low stupid super hero ever been made in the history of comics ? I think that if you read the comics you might change your views on him (especially if you read the darker stories [like winter soldier] ) Here's one example: Cypher He was an X-Man and his power was literally to decipher stuff, he didn't have anything else,he literally got killed and brought back (In the comics) as many times as Yamcha and Krillin in Dragon Ball. And you should look for Marvel's Squirrelgirl, now that was an atrocity. And yes there are even more stupid things, like Marvel had a villain called Eye Scream who could turn into ice cream, think about that. I think I will wait and see if this one is good. but from the poster and the trailers I think this one will be another fail too as the both movies before . I must say Avengers was good but not because of Captain America but because of the other characters ... specially Iron Man , Hulk and Black widow , and now when they put black widow again in the movie it really shows that captain america is not the big deal to lead an entire movie alone . but we will see . You forgot the quotable Loki. Black Widow's stance is so bad. WTF were they thinking? How long has Nicolas Cage been playing Captain America?